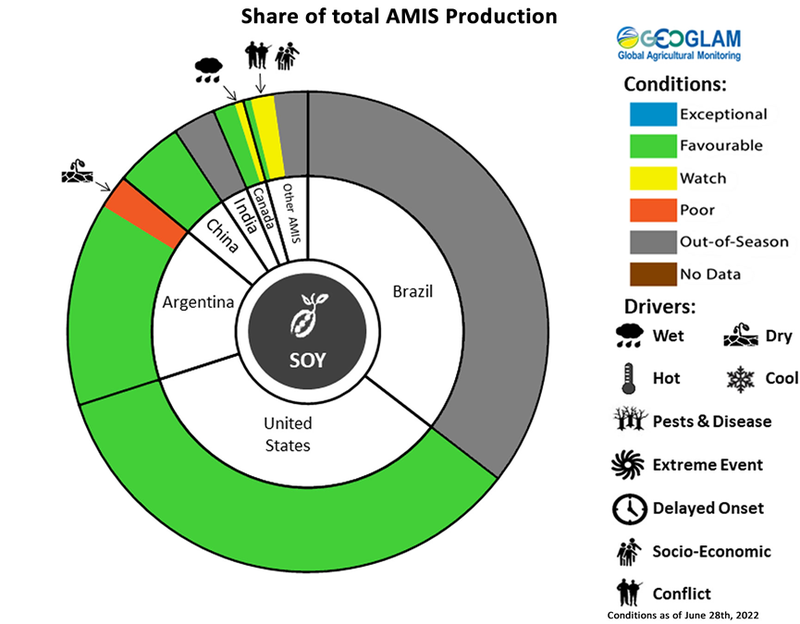 In Brazil, conditions are favourable as the harvest progresses. A slight reduction in final production is expected compared to the previous year due to dry conditions in the South and Central-West regions during December and January. Overall yields are estimated to be near average. In Argentina, harvest has begun forspring-planted crops under favourable conditions. Summer-planted crops are under favourable conditions, with earlier sown crops showing better performance than later sown crops. A frost in the last week of February in southern Buenos Aires and La Pampa resulted in only minor losses.